For a complete listing of all the hotel brands we serve, click here. In order to serve such a diverse array of hotels and national hotel chains, we offer a full range of services to cater to the individual needs of each of the hotels we serve. The systems that we engineer are designed to provide high-speed internet access (HSIA) to all of the areas of the hotel that require network access. From the guest rooms to the front desk, our solutions deliver a reliable connection at each and every location. All of the solutions that we offer can be provided with one turnkey package. We work hard to ensure that our clients receive a hassle-free installation of their hotel’s network, and we continue to deliver for our clients by providing a full range of support services. As an approved provider with RCI marketplace and other hotel supplier programs, we have the ability to provide qualified clients with our fully customized hotel internet access solutions without the out-of-pocket capital expense at the time of installation. This unique opportunity allows our hospitality clients to offer the best in hotel internet access solutions to their guests, without the added stress of worrying about a high initial cost. Reliable hotel internet services can often be the reason why hotel guests become loyal visitors. No hotel can afford a poor guest experience. The growing number of hotel review websites allows guest to quickly determine what hotels to avoid. Unfortunately, poorly designed or implemented hotel internet access solutions are the cause of many bad guest reviews. Reliable and secure internet access for guests can help attract repeat customers and can be critical to maintaining an excellent reputation. Deep Blue Communications ensures that our clients’ reputation remains positive by installing equipment that delivers the connectivity promised to guests. There is no second chance to make a first impression. 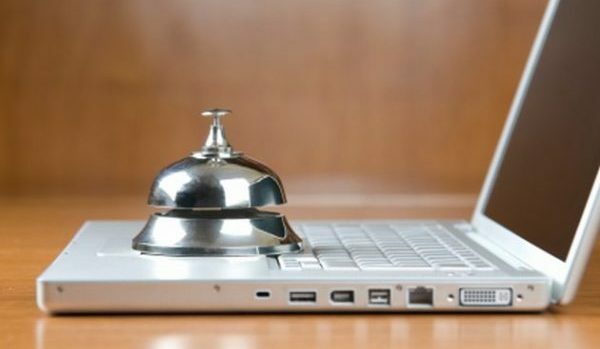 Choosing the best vendor to design and implement hotel internet access solutions is critical to ensuring that the hotel can meet a guest’s expectations, and that they leave having a great experience. Hotel management understands how important it is to keep guests returning again and again. By choosing Deep Blue Communications to install and maintain such an important part of their business, they can have the peace of mind that their vendor has the same goal.